Official Selection Archives – Canted Pictures Inc.
We’re thrilled to announce that Through Rose-Colored Glasses is an official selection for the 10th annual Grand River Film Festival, which is sponsored by Scotiabank. Not only do we have the honor of screening before one of their selected features, but the short film is also in the running for Best Canadian Short Film at the newly built Apollo Cinema in Kitchener. For those interested in attending the awards presentation, tickets can be purchased by clicking here. After the awards are handed out, audience members can catch a screening of The Tiger Hunter (Lena Khan 2016), and if you’re so inclined, a post-screening reception at the Grand Trunk Saloon where the director will be a guest speaker. 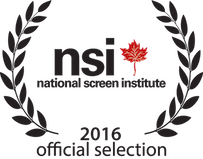 Happy to announce that Through Rose-Colored Glasses is an official selection at the National Screen Institute of Canada, a Canadian Screen Award qualifier. If you haven’t already, check out the trailer below and keep an eye out for more festival announcements!